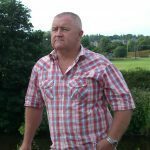 Had enough of trying to work out how to make a living online with all the false promises, costs going through the roof and buying stuff you don’t really need, then lets see in this make money from blogging for beginners article, if we can point you in the right direction and show you that it isn’t really that difficult. 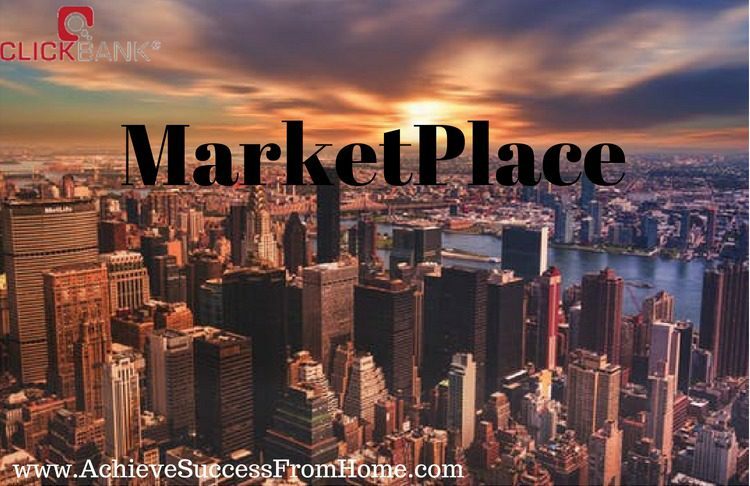 I am not here to pass judgement on all those make money online opportunities that send you down the wrong path, because there simply aren’t enough hours in the day. It’s not too long ago that I was in that very same position thinking, wouldn’t it be great if I could make a living online, but ended up bouncing from one opportunity to the next, learning absolutely nothing of value. Not to mention the costs! Talk about sole destroying and frustrating until I found by accident a way forward, but we shall get to that a little later on. Why would I need a Blog? I’m not going to get heavy into the why would I need a blog because the article could end up taking a number of hours to complete so I choose 2 of the main reasons. If you are a business owner there is no better way to connect with your customers. Forget about sending out flyers or newsletters via mail, that is a thing of the past. Creating content is a personal thing and allows you to keep in touch with customers to inform them of any ongoing changes. Expanding the business by seeking out new clients by identifying what people are searching for that relates to your business. With around half the world population that has access to the Internet, getting your business website in front of that crowd of people is not as difficult as you may think with the right tools at your disposal. Affiliate marketing is a very simple business concept and extremely cost-effective as there are no overheads and you hold no stock. You are basically the go-between. You promote other peoples products and once you have made a sale, you as the affiliate would get a commission, and that’s it! This business model is by far probably the best one you can adapt to for earning a good living online and the most cost-effective. This can literally be anything. It could be a hobby or an interest which you are passionate about. If you are thinking of starting a blog and turning it into a thriving online business, then a little research has to be done first to establish whether your interest or hobby is going to have a big enough following for it to be worthwhile doing. 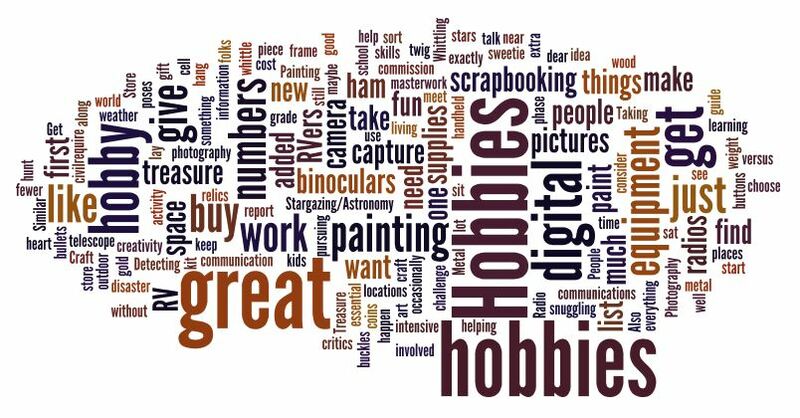 Is there a big enough crowd out there searching for things related to your hobby or interest? Just off the top of my head, I have managed to list 10 massive crowd-pullers when it comes to what people are looking for when they hit the Google search engine. There are 100’s if not 1000’s of categories that you could use and make a great business from. Those highlighted categories are at the very top of the tree, and within those are related sub-categories or sub-niches. Within that category, there could be 1000’s of smaller categories that you could use. Where do People go for their Information? With Google taking the bulk of the market share with around 74% then a good start would be Google and just a little research here tells me that there are over 65,000 Google searches every single second. This amounts to more than a staggering 5.6 billion searches every day. Each one of those individual searches as the potential to become a Niche that you could use as your business. Your New Hobby or Interest! Just think, 5,600,000,000 – Quite a large number right? All you need to do now is research what those people are searching for that relates to your Niche. How do you make money from blogging, well let’s take a look at the steps required! As we mentioned earlier, this can be literally anything, and although I have just highlighted 10 great niches, it may be that you need further guidance then why not check out an article I wrote here. A good suggestion would be to try and choose a Niche that you like or better still have a passion for. This makes developing your Business so much more enjoyable. Remember this business of yours is going to be around for a number of years to come! Once you have found your Niche then it is time to start building your website. Before you mention or even think of it for that matter, building a website nowadays is extremely easy, I mean if I can build a website then anybody can! In fact, I know a Website can be created in less than 1 minute because that’s how long it took me to create mine! Choosing the right blogging platform is our next step and what I use like many others is WordPress, without a doubt probably the most popular and reliable blogging platform there currently is! With WordPress as your blogging platform, there are literally thousands of themes to choose from along with over 50,000 plugins to help you. Themes are a sort of graphical interface and its what gives your website that all professional look and uniqueness. It modifies the way the site is displayed without modifying the underlying software. Plugins are computer programs that you install and attach to your website to do all sorts of techie stuff that a few years ago you had to program. That’s when things took weeks and sometimes months to do something relatively simple. Creating a domain is your own private little piece of the Internet. Where you give your business a true name where your website will reside, just like www.Amazon.com. The name should be catchy and refer to your chosen Niche. Choosing a theme for your website all goes hand in hand with what your Niche is about. With 1000’s of WordPress themes to choose from and most are free. I’m sure you’ll find one that best suits your needs! Get Rankings & Visitors to your website or Traffic as it is known. Getting ranked is a term that Google uses when you publish your blog posts and over time Google will rank your post according to many different parameters. The higher the page ranking in Google the more chance your posts are likely to be read by future subscribers which hopefully would mean future sales! Getting visitors to your website can be done 2 ways. Paying for Traffic or SEO (search engine optimization) and sourcing the traffic organically for FREE. Here we are going to focus on SEO because it will save you a ton of money and it is the best solution for long-term success! 1. Targeting the keywords that people are keying into the Google search engine that relate to your Niche. 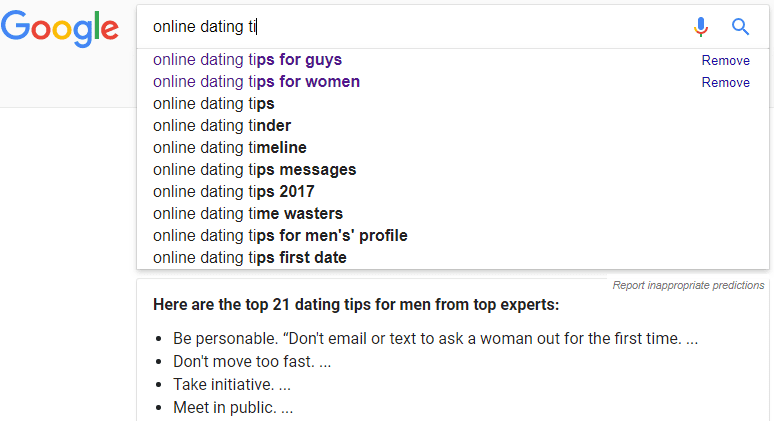 Just by typing “online dating ti“ into the Google search automatically displays suggestions for keywords that we can use that relate to our niche. What started off with an idea as now exploded into many suggestions for doing very little! We can then take several of the Google suggestions (if needed) and research those potential keywords further. We research those potential keywords further by using a Keyword Research Tool. Looking at the results of the Jaaxy search query and we see a bunch of numbers associated with our keyword. Ideally, you would like Avg and Traffic to be as big as possible! 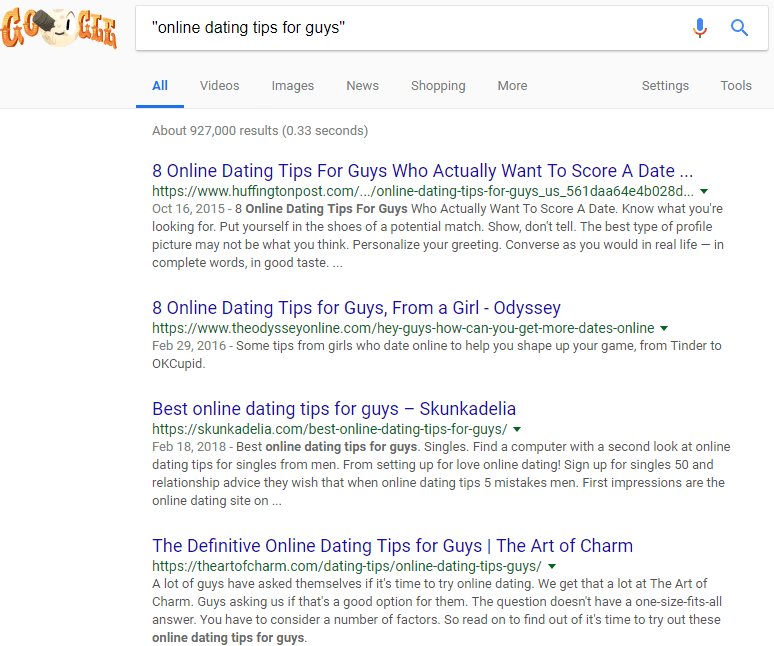 Now with the keyword “online dating tips for guys” that we have decided will be the heading to use for our next blog post, we would start writing the content. That’s easy and just be typing the keyword back into the Google search engine we have a whole lot of things that we can research that are ranked on pages 1 and 2 of Google to give us some ideas. There are really no restrictions on the size of a “blog post” in terms of the number of words. Saying that though, Google loves unique content with posts in the 1,500 to 2,000-word count range. You would create great content by giving useful advice and then suggesting solutions, which would come by the way of affiliate products. Where would I find those affiliate products to promote? You can find 1000’s of affiliate products online that would relate to your niche. Pretty much all are free to join which is a simple process. Select the affiliate program you want to join then promote their products. Why not check out Amazon, they are the biggest online retail outlet with over 500 million products. Earn revenue is when you get paid. 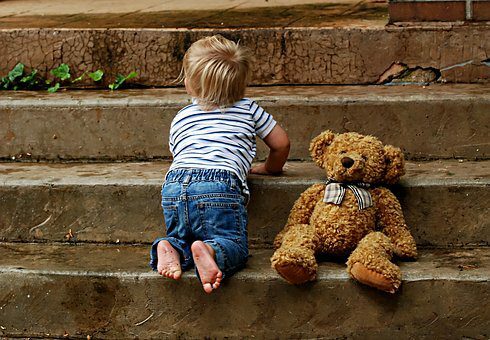 If you have carried out steps 1 to 3 correctly then it is only a matter of time before you start to see an income, and when you do it will come in floods. These are commissions paid to you by the product owner. Each keyword that you use targets a certain group of people and if you have done your research thorough enough then you will find some great keywords that have plenty of Traffic with very little competition. Over time you will publish 100’s of blog posts and as a result, the traffic will get bigger and bigger, meaning more and more people are going to get to see your website. More traffic means more subscribers means sales!!! 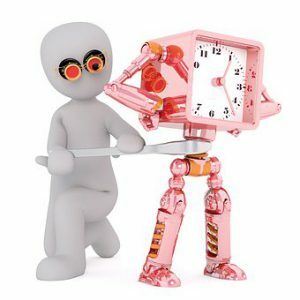 How long will it take for me to start making a living? Obviously, this is not a “Get Rich Quick” scheme and if that is what you are looking for, forget it because there isn’t one. Maybe chance your arm at the Lottery but we all know what the odds of that happening are, right? Everybody is different so the harder you work the quicker you will get there. Eventually, you will be in a position where you could ease off with that “boring full-time job” and even replace it with this new online business you have been developing. The beauty of this business is that it will be running in the background 24/7/365 and you can run it anywhere. All that’s required is a laptop and an Internet connection. Want to know how you can learn all this and more? As I mentioned right at the beginning of this article, I came across a training platform quite by chance and to be honest can’t remember how it all came about. I know I had been looking for quite a while, but not quite sure what exactly I was looking for until I found it. Now, you don’t have to bounce from one so-called opportunity to the next because I have the perfect solution right here! Hopefully, you have clicked on some of the article links which should have given you a thorough understanding of just what this blogging is about and that it really isn’t that difficult. 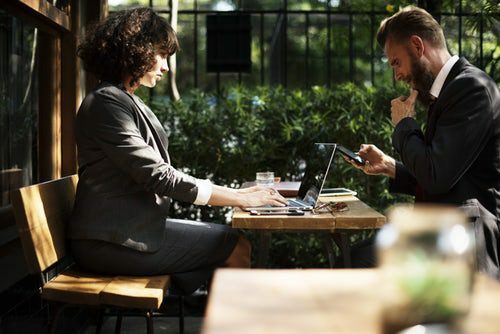 Time-consuming it maybe, but starting and running a business takes time and done right with the right training and you can really benefit beyond your wildest dreams. What is the Amazon Affiliate Program about? Is it the BEST? Just about any product you can purchase on the Internet you can find an affiliate program that you can join and make a tidy living from as an Affiliate Marketer, so let’s jump right into probably the biggest program there is and let’s see, just what is the Amazon Affiliate Program about? If you are new to Affiliate Marketing, it can be a little daunting just where to go with literally thousands of Affiliate Programs out there ready and waiting for you to join. With around 1 million affiliates and climbing, Amazon is the largest online e-Commerce store selling pretty much anything and everything you could possibly think of, then why not take advantage of the fact that everything is in one place? Affiliate marketing is a $6 billion/year industry. If you don’t quite understand the affiliate marketing business model and how it works, check out this article first. 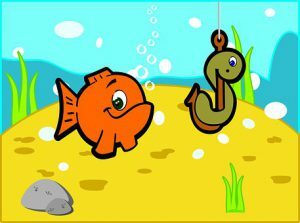 Before we get started – Do I really need a website to make money as an Amazon Affiliate? If you are serious about building an online presence then it’s imperative that you create your very own website. 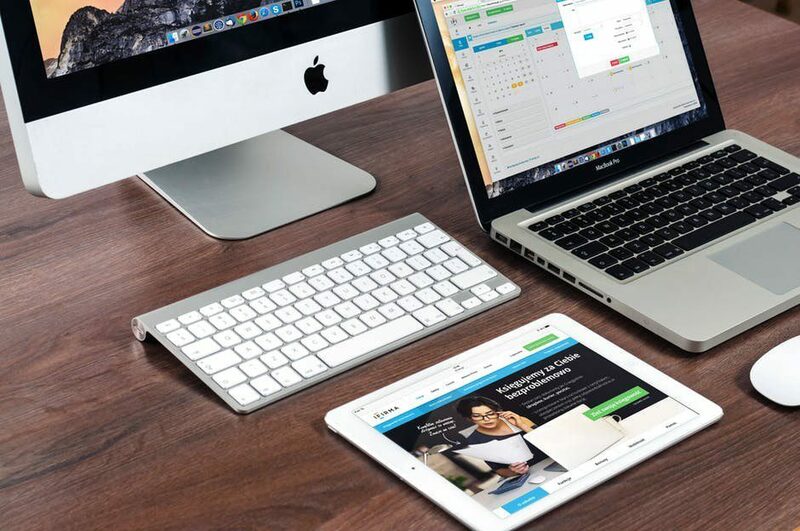 Don’t worry, with the advancement of technology, nowadays creating your own website isn’t as difficult as you may think, especially if you find the right training platform. In fact, I would go so far to say that it is a breeze. Just think about it logically. When you own a website you are in control with how you present it to the masses, who are out there literally searching for pretty much anything. In Google alone, there are somewhere like 65,000 searches every single second, which is around 5.6 billion searches in one day alone. That’s an enormous amount of people searching for a lot of stuff and I bet a vast majority of those searches could be linked to Amazon products so wouldn’t it be the obvious place to become an affiliate? You decide just how and what you promote and that is easy because you can use the Amazon website to research the products that people are purchasing. Decide what your website is going to be about and that can be anything. This is called a niche. If you are unsure of just what a niche is and how to go about finding one then you can read an article I wrote here. Research what people are searching for relating to your chosen niche. This is called Keyword Research. Create great content for your chosen niche giving value to your prospective customers, with additional links pointing to Amazon. A great way would be to write unique product reviews. Amazon loves great unique product reviews. How does the Amazon Affiliate Program work? The business model as an affiliate marketer is a very simple one and with very little outlay with regard to costs, with no overheads, warehouse, and inventory to take on board, and you will find that all affiliate programs work in a similar fashion. The Amazon Affiliate Program is a referral commission program, which simply means that if you refer customers to Amazon through one of your links you get a commission for everything they buy. When a customer comes to your website through whatever means, Google, Bing, Yahoo or social media just to name a few, and then click on one of your Amazon links, they are tagged as your referral. Anything they purchase from here on for the next 24 hours without exiting your link you will get a commission. I know in reality that this wouldn’t happen for the full 24 hours but just think how many times have you been on Amazon to purchase a single product only to end up buying several? I know I have many times! It is a fact that customers will purchase more than 1 product whilst on Amazon through your affiliate link! Prior to the 1st March 2017, the commission rates were tiered which meant the more you sold the more commissions you made with a starting 4% all the way up to 8.5%. Granted at month-end the percentage dropped back down to 4%. 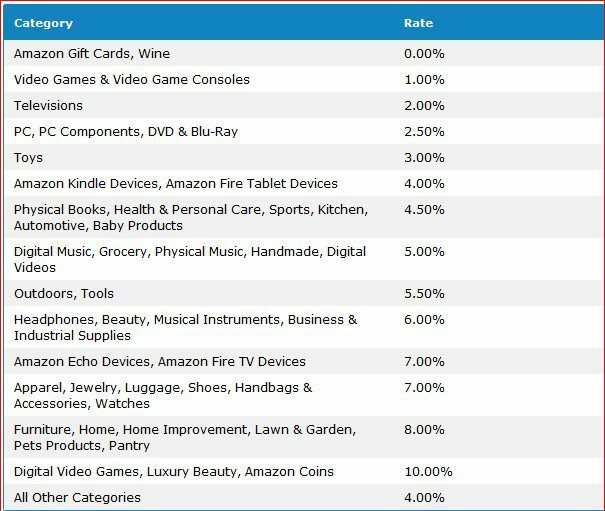 Amazon had been hinting for some time now about changing the commission structure which doesn’t appear to be a bad thing, as several categories still retain the same rate. Amazon is going to keep pushing instant shipping with their “Amazon Prime” which can only mean better things for the affiliate. Faster shipping means more sales which mean more revenue. Some category commission rates have gone up with “Pantry” (previously groceries) doubling from 4 to 8 percent. This is a good thing as more and more people are buying their food online increasing the spending flow, in turn giving you an extremely profitable niche to get involved with. But hey, as you are here and asking the question, what is the Amazon affiliate program about, an assumption can be made that you are thinking of maybe participating in their affiliate program, and therefore these recent changes will not affect you. Why is the Amazon Affiliate Program so popular? People like the Amazon affiliate program because it is worldwide, which creates lots of tangential benefits. There are plenty of reasons and I have just touched base on a few. Covers a vast majority of the markets – If you are in a market in which there are physical goods to be sold, you can probably use Amazon, and there’s a good chance Amazon is one of the best affiliate options for you. Plenty of information – Because so many people use it, it’s easy to find information about promotional tactics, technical questions, etc. Big platform = tangential sales – You don’t just get a commission for the product you recommended but commissions on everything your customer purchases, and people tend to buy lots from Amazon. Receive payments in your bank account anywhere – With the help of services like Payoneer. Conversions are very good due to its popularity. People will purchase other products after clicking on your link. Amazon is full of information and provides lots of ways to promote offers. They offer a fulfilment facility. They will store your own inventory and become your order management system. Target audiences in specific countries. Very little in the way of information or digital products. Bans are quite severe if you don’t adhere to their rules. The Amazon Affiliate Program is 100% free to join, and the registration is straightforward but your account will not become active until Amazon has vetted your website. Amazon is a trustworthy world brand and they want to keep it that way, so it is only right that their affiliates are marketing their products in the correct manner. If they don’t like your approach to the way you are marketing their products they will ban you, but that doesn’t mean a total ban providing you aren’t constantly abusing their rules. Amazon is the #1 e-commerce store in the world and is a highly trusted company and thrives on providing the best service possible to their customers. Providing you have all the necessary things in place with regard to your website then customers are more likely to purchase from you rather than other sites promoting similar products from Amazon’s competitors. So is Amazon’s affiliate program worth trying? Their affiliate program is one of the most respected out there and they respect that their affiliates are helping build the brand even further. Obviously, their commission structure could be better! The beauty of Amazon is the wealth of information available to you and makes it so much easier selecting a great lucrative niche with a lot of pulling power. If you already have a niche idea that is not too popular then check out Amazon first to see if they have products related and the chances are they do. I use Amazon all the time when it comes to researching niches and product reviews for my business, just like you do yourself when searching out product reviews before you buy. I hope you found this review useful and I welcome any comments. I obviously don’t know where you are in your research or whether at all you are interested in trying to make a living through the Internet, but if you are and want to know more about what I do for a living and you have some spare time on your hands, then I hope you will find my review on my number 1 recommendation a worthy and interesting read. Don’t forget I am here to help in any way I can so fire away with any questions you may have. Author MickPosted on March 6, 2018 August 29, 2018 Categories Affiliate marketingLeave a comment on What is the Amazon Affiliate Program about? Is it the BEST? What is 4 Percent Group – Is it Legit? An insiders first hand experience! OK, so you are researching ways to make a living online and you have obviously heard about all the hype with Vick Strizheus’s recent product and therefore let’s try and break it down and find out, what is 4 Percent Group all about? Not too much to ask for considering you have worked hard for your money and do not want to end up squandering it. No longer free to join! Who is Vick Strizheus, the founder of 4 percent group? I’m sure if you have been researching ways on how to make money online that you have come across Vick Strizheus and his training methods. You will find tons of training videos all over YouTube, but be careful because a lot of the stuff is well out-dated and you could find yourself purchasing something that you didn’t really need. I should know! He does come across as an expert when it comes to standing in front of the cameras with his unique energy and style. A very charismatic individual with a unique approach to training. I remember a few years ago when I started researching “ways to make money online”. I came across 4 videos in a series leading up to the launch of HTA (High Traffic Academy), which is/was one of his products at the time. It was that series of videos that actually got me interested in the whole “make money online” concept and the reason why I am here now. They were very professional and made this topic seem easy, but I have learned a lot since then and for his methods to work, you have to have an endless supply of money to invest in PPC (Pay Per Click) advertising, and Solo Ads which are the 2 main traffic sources he promotes. 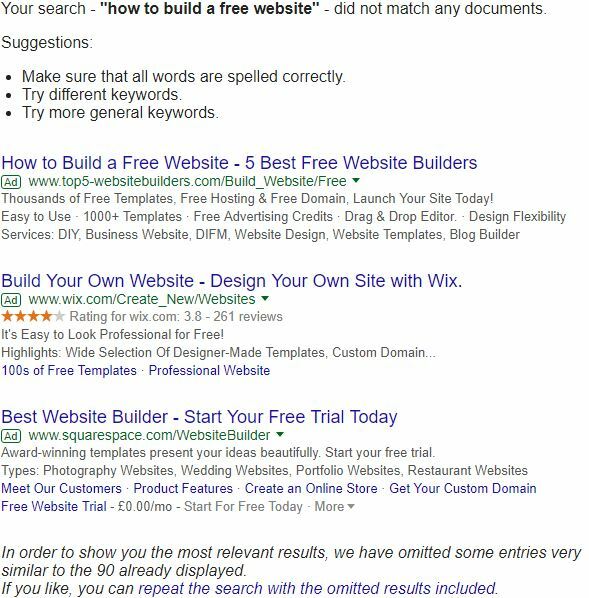 What worked then doesn’t work now with many PPC sites that he used closed down. Nowadays when these “gurus” show you how it’s done, they never let you into the one “secret” and that’s who they are using for their PPC campaigns. This you will have to work out for yourself! Before we get into the review I’d like to give you guys an insight into what Vick was involved in prior to the online world. Vick used to sell life insurance for a living and was involved with several leading insurance companies like Mutual of Omaha, Americo and Sioux Falls. In 2007, twenty-five year old at the time, Vick (real name Vitaliy) Strizheus who is originally from Ukraine, was convicted of fraud and was sentenced to 90 days in prison. He was ordered to serve his 90 days on the weekends due to family commitments and he also avoided deportation. Nowadays that would be a different thing altogether. Apparently, he was caught filing life insurance applications for people who didn’t exist, which netted him more than $30,000 in commissions. I think you’ll agree that most people come with a shady past and everybody deserves a second chance, right? He was also involved in one of the largest Multi-Level Marketing schemes of all time namely Empower Network, and as you are probably aware of, shut down and went bankrupt with a lot of members losing a fortune. Between the years 2011 and 2013, Vick was one of the very top earners who managed to make millions from recruiting other people into this scheme and convincing them to go all in. In the early part of 2016, Vick created The 4 Percent Group and over the past couple of years, there has been quite a bit of hype surrounding this program. So what is 4 Percent Group all about? The actual name of 4 percent group came about from an idea based on 100 people who wanted to change their lives. 80 will talk about doing something but actually, do nothing. While out of the 20 people left, 16 will do something but will give up. Which leaves 4 who will actually do something positive and carry it through to the end, not that they believed it would work but that these 4 are determined no matter what. If you look at the setup with 4 percent group, you will see extreme similarities with The Empower Network for which Vick had so much success with. We all know what happened to Empower Network, with many members losing a fortune. Before you actually join The 4 Percent Group, very little is discussed regarding just how much this could actually cost you, and you only find this out when you become a member. I remember when I joined some time ago now, you could do so as a free member which was great and allowed you to check out everything before you made a commitment. Now, you don’t appear to be able to do this anymore, as I now see members marketing 4 Percent Group for $1 and $49 so I guess you have to make that commitment from the very start. Just remember even at the $1 membership fee you will be adding your credit card details, so remember that if you don’t like what you see to cancel the membership before the 2nd month starts otherwise the full amount will come out. After you join you will find that in order to earn commissions and progress that you will need to purchase other products and that’s where things start to become expensive. One (of many) very important things that Vick Strizheus fails to mention is that you must employ the services of the products that The 4 Percent Group promotes for the entire sales marketing funnel to work. 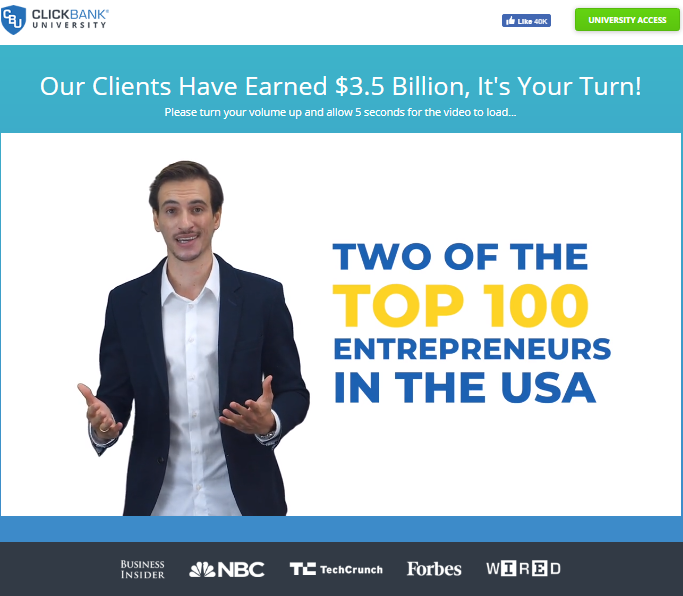 Besides the above, the main product that The 4 Percent Group promotes is a high ticket Marketing Training course from Tecademics, which costs between $100 per month to a one-time fee of $12,000. To qualify for the 40% commission that Tecademics are paying out, you have to own the product, which means if you want to earn a commission of $4,800 from the sale of the $12,000 course, you have to own the course yourself first. The problem here arises if you do not purchase the course yourself and you referred someone to the $12,000 course and they purchased it, is that you would not receive the 40% commission. The person who referred you to the 4 Percent Group who owned the $12,000 course would inherit the $4,800 commission. So as you can see the entire cost of joining and running The 4 Percent Group marketing sales funnel is a staggering $12,187.00 which is absolutely ridiculous. A huge amount of money for someone coming into the online arena and trying to make a living from. None of these costs are spoken about before you join The 4 Percent Group, because if they were transparent then many wouldn’t join in the first place. What you will see here are successful online marketers joining and marketing the product to their email list and going all-in. Remember The money is in the list! A sure way to get those subscribers unsubscribing from your email list! The amount of $12,187.00 for going all in is definitely on the low side. The reason being is that they teach you how to get traffic to your landing page by paying for it, which if not done correctly will cost you an arm and a leg. I know from watching some of Vicks videos in the past that he hasn’t a clue about SEO and attracting Free Organic Traffic and has no interest, because he is after results fast, and that’s what paid traffic does if done correctly, and of course newbies won’t have a clue. Quite simply SEO takes time and would not feed the members interest, but done right it will save you thousands in paid traffic fees and once it is working for you it does so 24/7/365. Once you have joined you will be met with a series of 7 steps that you are encouraged to follow and complete. A series of 7 videos, with only steps 2 and 3 that you need to take action in, the rest are there for motivation. Step 2 will walk you through the process of signing up for the affiliate programs of all those companies that The 4 Percent Group promote, with an enthuses that these products are important and necessary for you to become successful. Step 3 explains how to set up your sales funnels. In order to follow the training to a tee, you have to purchase many other things as per the list above such as Aweber, Click Magic, Click Funnels amongst others. That was Step 7 – Operation $100k in 90 days which is pretty much like some guru standing there in front of a mansion with several high-performance sports cars and dangling a wad of cash. It did the trick for many but when people joined they found that Step 7 didn’t exist and was quite some time before it was made available. I wonder just where $100k in 90 days actually came from? Surely the 90 days isn’t linked to the 90 days that he was sentenced to for fraud, was it? I guess we will never know eh! I am struggling to find any positive things to say about this product but what I would say is that all the training/information can be found on the Internet for free. Simplistic training regarding landing pages. Lack of information about how to drive traffic to your landing pages. Focus on Pay Per Click with no guidance on where to go. Focus on Solo Ads which is probably the worst route you could possibly take. Teach you how to copy which would be no good if you left the company. What is 4 Percent Group – Final thoughts! Well for sure The 4 Percent Group is not a SCAM like most reviews are showing you, as you can get value for your money albeit not very much. Would I say it was a “Legit” route to take? The answer to that question is a resounding no, but I’ll leave that up to your and hopefully there is enough information here to allow you to do that. Just think about it, there will be thousands promoting basically the same campaigns through PPC, which is pretty much like dropping a needle in a haystack and telling someone to find it. It will not work! OK, you might make some money, but as you have seen in order to take advantage of Tecademics and the 40% commission then you have to go all in at a cost of over $12,000. Do you have that sort of money lying about? I do but I wouldn’t dream of spending it in this way! Just think about it logically, if you knocked on somebody’s door and tried to sell them a training course for $12,000 what do you think would happen? The door would be slammed right in your face, so what makes you think that creating a fancy landing page and sending it out into the Internet Abyss is going to be any different? Quite simply, it isn’t so please do not waste your money! I know I wouldn’t even contemplate spending anything like that amount, and there is absolutely no need to do that either. The most important skill required when promoting an online business is to know how to drive traffic to your offer. 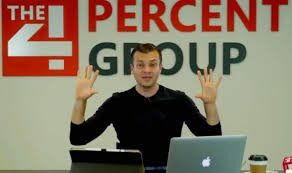 The problem is that The 4 Percent Group does not teach you SEO, and how to drive free organic traffic because it focuses on PPC (Pay Per Click), like Google Adwords, Bing, Yahoo, Solo Ads and Social Media Advertising. Nobody mentions this additional cost for driving traffic until you become a member and that’s where the costs will sore to greater heights. Take it from me that is where it will become costly! If you want to learn how to copy and paste and you have an endless supply of money then go ahead and join The 4 Percent Group. But, if you are seriously interested in learning how to build an online business the right way, please check out this training platform which will save you an absolute fortune. Hopefully, I have shed some light on what the 4 percent group is all about. Are you a member of 4 percent group and had any bad experiences? Did you go all-in for the $12,000? Are you finding that paid traffic is not the right way to go and costs just keep on soring without any ROI? Feeling disheartened and frustrated? Want to know how to build an online business the right way? I’d love to hear what you thought of the review and any comments you may have. 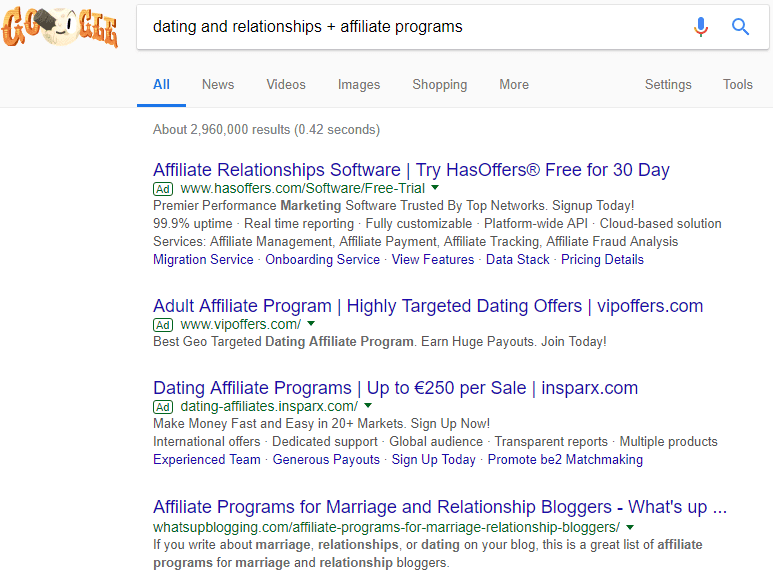 Author MickPosted on March 2, 2018 May 19, 2018 Categories Affiliate marketingLeave a comment on What is 4 Percent Group – Is it Legit? An insiders first hand experience! 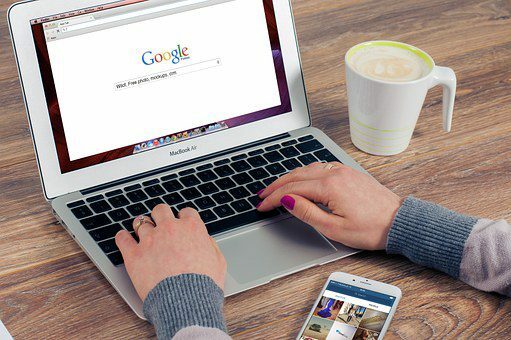 So you have a Hobby or an Interest that you want to get out there in front of the millions of people searching on Google, and want to know how to build your own website free? Every business no matter what it is should have a website to promote its brand, otherwise, you could be missing out on so many potential customers. With so many people searching on Google which according to the website Internet Live Stats is well over 64,000 a second. This potential traffic is just screaming out for you to take advantage of! But before we get down to actually creating your website, you need to have something to base your website around. Maybe a hobby of yours or some kind of interest that you have a passion for that we call a Niche. My interests are fishing, golf, running, travelling, technology, DIY, eating out just to name a few and I could extend this list very easily, but pretty much anything you could think of could be a niche. Having a passion only makes it so much more interesting and fun when doing research and building your website. It means that it wouldn’t become so much of a chore. Choosing a Niche usually gets people in a bit of a dilemma, because whilst pretty much anything that anybody is searching for could potentially be a niche, it seems to be a stumbling block for many. It was for me until I learned just how easy it was! With the thousands of keyword searches per second which I mentioned above, they could all potentially be a niche, but there is a way of searching out a niche and one that could make you some money. I wrote an article that describes just what a niche is and how to select a profitable one if you would like to read it here. You could also check out what Kyle, my mentor has to say about Niches in the below training. A taster of the type of training available. Now we have that out of the way and you have chosen a profitable niche then we can think about building your website. Everybody likes free right, but people tend to be wary of anything associated with a freebie. I know I do, what’s the catch? Well, in this instance there isn’t one! You might be thinking that because it is free that you will only have a limited amount of tools to accomplish the task, and that once this website is up and running that it won’t be a professional looking website and you won’t be able to generate traffic to it? How wrong could you be! What if I told you that this training platform teaches you everything you would ever need to know about affiliate marketing and building a website with all the tools you would need to get the job done? What a niche is and choosing a profitable one. Create your own free WordPress website. 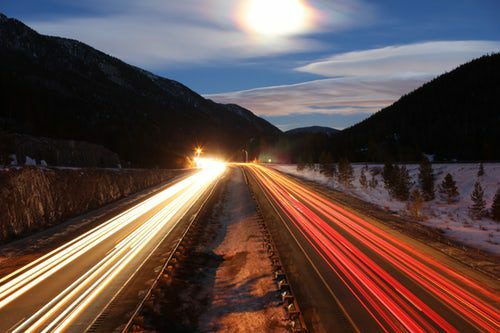 Learn how to drive traffic to your website organically. Getting paid by way of commissions. 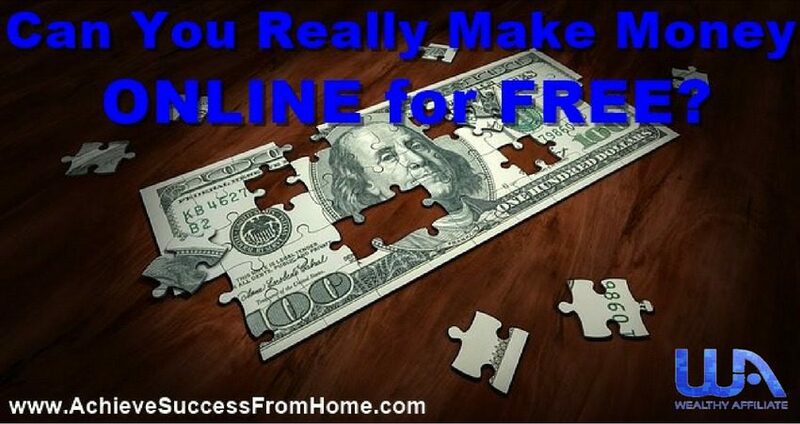 Within this article, I will lay out what is required to build Your Own Website Free in Wealthy Affiliate and show you the 4 simple steps you need to know to accomplish this task. Apart from choosing a profitable niche, to have a successful online business you need to know the steps required to build a great looking professional website. Once you have the foundation built and it is rock solid then you can work on what it takes to get traffic to your website. But first, we are going to start building your website. Many people freeze when they talk about building a website. Surely this must be difficult? I don’t come from a technical background and wouldn’t have a clue? This is going to take me an age to get to grips with? What do I do once the website is created? How do I get my website to make me money? 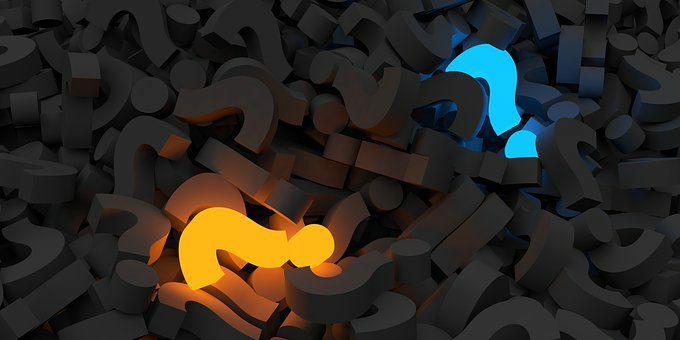 These are just a few questions that come to mind, which can put a negative spin on things, and before we know it we have decided to call it a day and move onto something else. Around 10 years ago the task of building your very own website was a task, to say the least. Technology has moved on somewhat and those days are a thing of the past and there is nothing for you to worry about. Anybody at all no matter what background you come from can build a professional looking website that looks a million dollars and the best platform to do this, in my opinion, is with Wealthy Affiliate. Check out the training video link below and see for yourself how easy it is to build your very own website here at Wealthy Affiliate. It is very Important where you Build your Website? Developing a successful online business is no easy task when you are building it from scratch with no help or support, but when you have the correct tools at your disposal it makes life so much easier. 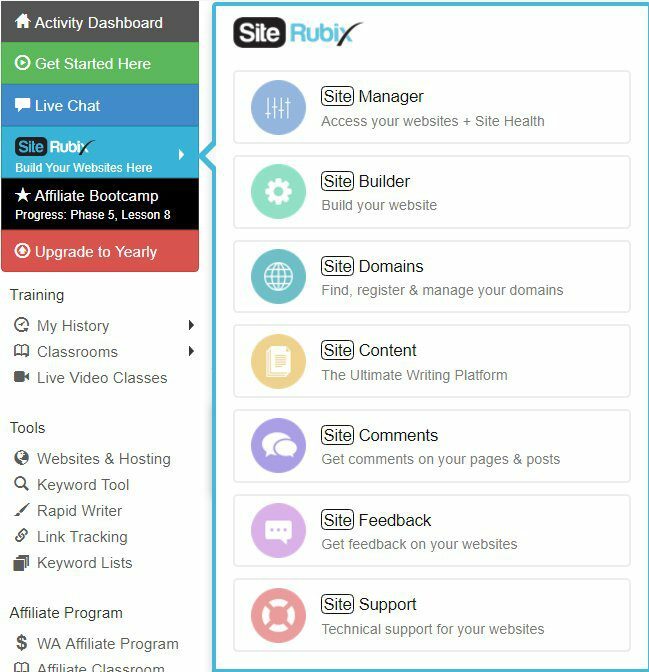 There is so much more to just building a website here at Wealthy Affiliate with all the training and help there is within the community. There are 2 memberships, the free and the premium membership and everyone usually joins as a free member. This way you can take your time and get used to what the training platform has to offer, and see if it really is for you. 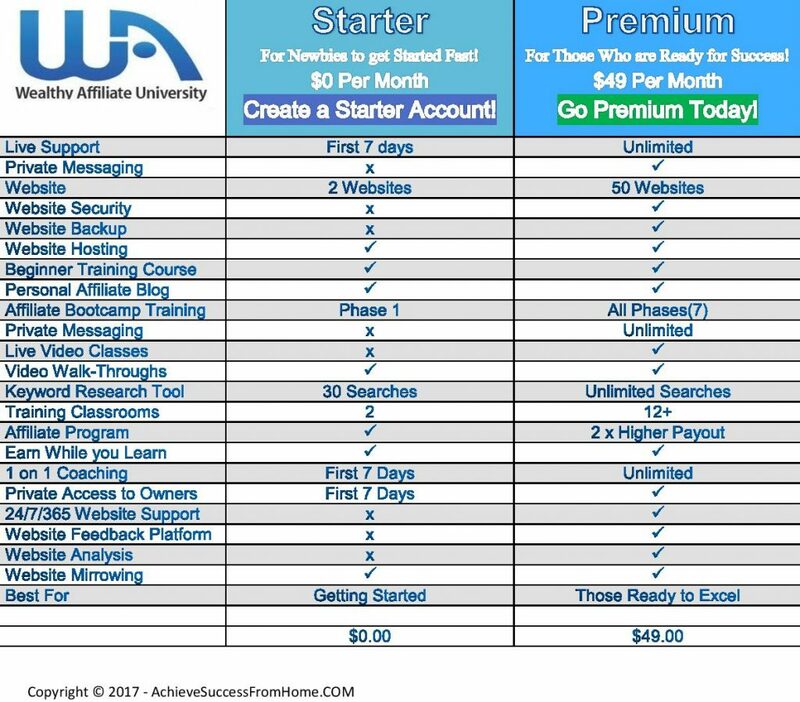 I can talk about Wealthy Affiliate until I go blue in the face but the best way for you or anyone to get know what is on offer is to signup for a free membership. Once you have signed up and decided that this is just what you have been looking for, then and only if you are sure, then you can upgrade to a Premium membership, but we are jumping the gun a little here. Whether on a new domain, use an existing domain or use a Free domain which in your case would be the place to go. Remember you can create 2 websites on a Free domain, 50 if you upgraded to premium. Site Domains – Where you would go to maintain your domains. Either add a sub-domain or transfer your own domain to WA. 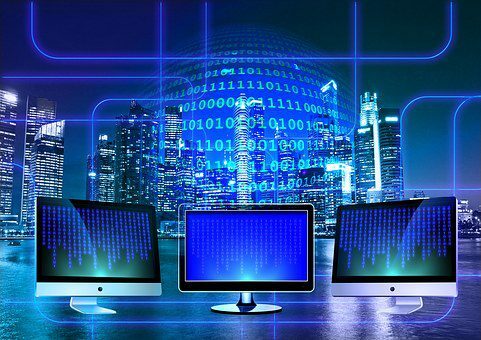 You could also point domains that were external to Wealthy Affiliate to WA servers and host your websites there, once again allowing for WA to handle all the backups and security. 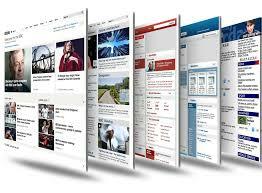 Site Content – This is where all your articles or blogs that you create would be managed. You can set yourself goals with your content writing which is extremely good for personal improvement. Here at WA they are always adding new things to enhance the way you build and maintain your website, and recently new functions have been implemented as part of site content and one very important one is access to over 1,000,000 images, free to use for your content and free from any copyright infringements. This alone could cost you $20+ a month depending on where you look. Site Comments and Site Feedback – Is a facility amongst the Wealthy Affiliate community to engage and get feedback and comments. It’s great to get other people, real people to respond to your articles which can only help to improve your writing ability over time. A very important aspect of Google uses comments and feedback as part of their algorithm to index and rank your posts. Site Support – Last but not least support and here at you will find no better. No need to be waiting 24-48+ hours to get a reply, this is pretty much instant and the results I have always been satisfied with. At this stage of the process, you have learned what a niche is and found one that can be profitable so I guess all there is to do now is take these 4 steps and start building your website. At Wealthy Affiliate, it couldn’t be made any easier. Step 1 – What kind of Website do you Want to Create? As a free member then you would create a free website as part of the .siterubix.com domain. You are entitled to 2 free websites. Enough for you to get a feel for whether Wealthy Affiliate would be a right fit for you or not! If at a later date you decided to upgrade to premium then this figure jumps up to 25 free websites on a .siterubix.com domain with a further 25 on domains that you could own for a total of 50, which to be honest is more than enough for anybody. As your free website would become part of the .siterubix.com domain, this is what we call a sub-domain. The name of your website is going to be your brand and will be with you for a very long time and should relate to your chosen niche. There is no rule that states your website name should relate to your niche but just think about it for a second. There is no point calling your website “how to make money online” when your niche is about “Drones”? My niche is in the “how to make money online” and I eventually came up with the name www.AchieveSuccessFromHome.com It took me a while because the ones that I wanted were taken, but I eventually had it down to several. Some good advice would be to write down a dozen or so off the top of your head and see what happens. As you probably would be joining as a free member then deciding on a name wouldn’t be so important for your free sites, it is only when/if you decided to upgrade as a premium member that more care has to be taken because you will be creating your own domain. That’s what I did when I joined. I used the free membership to get a feel for what this training platform had to offer, and I didn’t take advantage of the 2 free websites. I decided within 2 hours that this platform was right for me and therefore went the other route. The premium route and created my own domain. Step 3 – Give your Website a Title. This will be what your visitors see when they click on your site. This should relate to your website name and preferably the same if your website name is meaningful. You could change this at a later date but not advised because visitors over time will know your site through the actual name. Step 4 – Choose a WordPress Theme for your chosen niche. Currently, at Wealthy Affiliate, you have over 2800 different themes available, so try and choose a popular one and one that has quite a number of reviews, remember you can change your theme anytime you want. WordPress is the most widely used open source content management system (CMS) there is, with around 50,000 plugins at your disposal. Want to modify something on your website, then be rest assured there will be a plugin to do the job. And that’s it all done. Your Website is now Built and What Happens Next? Wealthy Affiliate has been active for the last 12+ years seeing through around 1.2 million members, with helping over 217,000 start their first business online in 2017. As a member of Wealthy Affiliate, you feel part of something special and a training platform that you can really trust 100%. I know this is some claim but it took me quite some time researching the Internet before I stumbled across this company. As you can see from the video, just how professional the training is, and whilst we are talking about the training, the platform is literally full of training and takes any newbie from knowing absolutely nothing about Affiliate Marketing to learning everything that you would ever need to know in order to be a success online. All the training courses are set out in a way that makes learning enjoyable, with each course laid out in text format, along with video, and tasks to take on and complete. Get stuck on anything and you have an enormous community with all levels of knowledge ready and willing to help you in any way they can. Not happy with your answers then get in touch with either Kyle or Carson, the 2 co-founders who are at your disposal, and that alone for me was a decision maker when I decided to go with Wealthy Affiliate amongst many other things too. The 2 major steps to becoming a success online you have just accomplished. Now all there is to do is create great content for your website and to do that you need to research just what people are searching for in Google, Bing, and Yahoo which is related to your niche. With over 65,000 keyword searches in Google alone every single second, which is around 234,000,000 every hour, I’m sure you can find keywords that are related to your Niche that you can use for your articles. 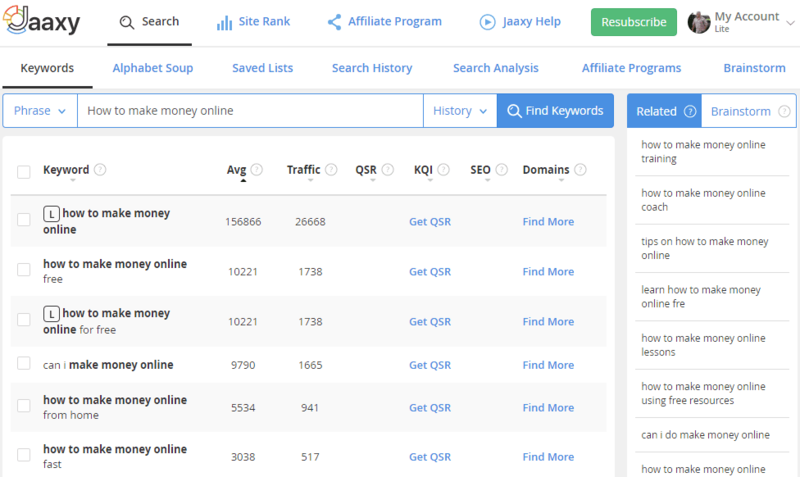 Great keywords with little competition and for this, you need a great keyword research tool and guess what, Wealthy Affiliate has one which is now integrated and part of the training platform. Before you start writing content for your articles you need to find low competition keywords and Jaaxy allows you to do this. I wrote a review about Jaaxy and you can read about it here. It goes without saying that finding the right training platform with all the training and tools you would ever require is paramount to your success, and every business should have a website otherwise you are missing out on so many potential customers. 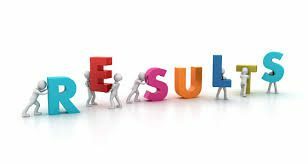 What I have given you here is just a little taste of what is on offer, so don’t take my word for it give it a try and create your free membership today and see for yourself, that’s exactly what I did and now I am doing this fulltime from home. Remember, when I say free I really mean free and no credit card will be asked for either. If you are really serious about learning affiliate marketing from the grassroots up and building a successful online business that will be around for years to come, which will give you a passive income 24/7/365 then this could be just what you are looking for. 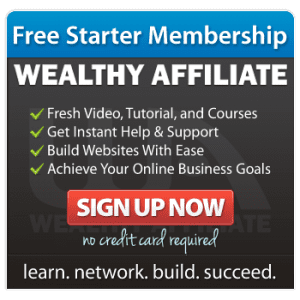 If you want to know more about Wealthy Affiliate then you can read about it in a review I created, which goes into a lot more detail here. Thanks for stopping by and reading my review and I hope this has been helpful as part of your research in finding a suitable solution. If you did find this article useful, please help to share this with your friends and family members by clicking on the social media buttons. Any questions at all don’t hesitate to pop them down below and I will get back to you at my earliest convenience. Why not just drop by and tell me how your research has been coming along and what you are currently up to. No matter what, I am here to help. OK, so you are wanting to escape the working week and looking for an alternative career path maybe, or just want to earn a little extra cash, and find yourself asking, what is an online marketing strategy and do I need one, well maybe these 22 suggestions will help. 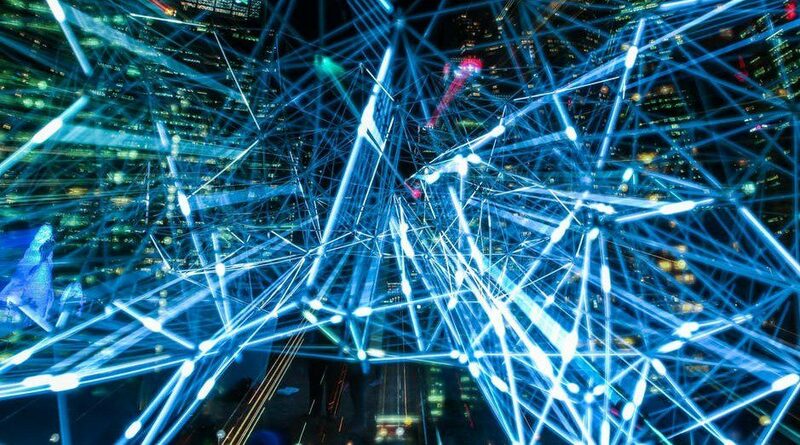 In such a short time, the Internet has expanded at such a rate that we currently have around half the world population with access to the Internet, that’s around 3.75 billion people. With more and more people turning to the Internet for ways to earn a living from, whether to complement their current income or eventually to replace it, means that in order to be a success then you have to be doing it better than the rest, and only makes it so much more important to have an online marketing strategy. It really doesn’t matter what business you decide to get involved in, you should always have a plan of action and try to stick to it. I know everybody likes to get straight into the more interesting elements of running a business, but it is all of a set of elements together that helps you create a successful business, not the odd one or two. These are in no particular order of relevance. OK then, let’s get to it! Stand out from the crowd – Create your own style! The new Psychology of Success I read somewhere! This could be a new word for some, and one that is passed around all the time especially on the Internet, but having the correct mindset in everyday life is what everyone should aim for and try to achieve. We all fight with this and probably without us actually knowing about it. Haven’t you at some point (probably many times) tried to gear yourself up to do a chore of some description? Maybe some DIY around the house and had to get in the right frame of mind before you would even contemplate starting? I know I have. Fighting with shall I start or shall I not? Used to happen to me all the time, but over the last, maybe 10 years or so my mindset is in a better place. Finding the right balance with your mindset is extremely important, because at times you will find yourself fighting with your negative side, and in my case when this happens I either do something entirely different, take a break or go for a run. Going for a run for me helps in so many ways, and gets me thinking. Obviously helps to forget the pain when you are hitting those miles too! A great way to get yourself into the correct mindset is to mix with people who are successful and are very positive in life. Try to stay away from negative people, that’s people who slate what you are trying to achieve with your life, such as own an online business with the view to calling it a day with the 5-day working week. There is plenty of literature on this topic, and you can go very deep into the psychological side, which to me is way too much information, but hey, that might be your thing? Maybe listen to someone like Tim Robbins, or someone like if you are struggling with it. Life is a massive learning curve and through time we learn many things about ourselves. I learned that maybe 10-12 years ago that I didn’t have the right mindset to build an online business. Nowadays things have changed somewhat and maybe it’s an age thing. Who knows? Running an online business still needs structure, and everybody should have a Business Plan and Strategy, even if it’s just a serious of steps roughly written down on paper with a bunch of these recommendations here in this article, because without one means that maybe you aren’t serious about building your very own online business. I know an online business might be different in a lot of ways, due to the exemption of external premises, overheads, and stocks, which obviously is a massive saving, but it is still a business all the same. If you are serious about creating an online presence, then a Website should be at the top of your list. Technology has come a very long way in such a short time. There are options out there and some very good ones too. Here are 6 Website creators straight off the top of my head, who are well worth researching. You could, of course, employ a professional if you had the money, but why? Nowadays creating a website is fun and enjoyable. What isn’t fun when creating your own independent website is trying to find answers to questions in Google, but not just finding answers, are the answers actually correct? If you don’t already know, there is a lot of false or misinformation on the Internet, and before you know it, could end up creating yourself untold problems. Why not find a training platform and one you can trust 100%? If you do your research you will find quite a few. Having a website to showcase your products and services is the first step, and promoting that website is all down to creating unique great quality content. Before we delve into content creation, we have to concentrate on keyword research. You have to find those great “Long Tail Keywords” that people are keying into the Google Search Engine that relate to your products and services. By using this type of keyword, it allows you to focus in an area where the traffic is not too busy and not too competitive. There is no point trying to compete at a higher level (Broad Term Keyword) where the major companies will be concentrating. There is a rule of thumb that I go for when deciding what keywords to use. There are three statistical figures to take into consideration. I look for an average amount of traffic per month that has to be 100+ searches, the more the merrier. The way we find competition is by looking at QSR (Quoted String Results). That’s the figure you will find at the end of your search query results that come back from Google when you key in the keyword and press enter. The number of websites that reference that very same keyword. When you have found your chosen keyword for your article or post, then it may be that the keyword doesn’t fit your premise, and with a little ingenuity you might be able to keep that keyword but make it mean something else with adding words to the beginning and/or end to make it mean something entirely different, and something that fits in with your current project. It also helps to find a great Keyword Research Tool. 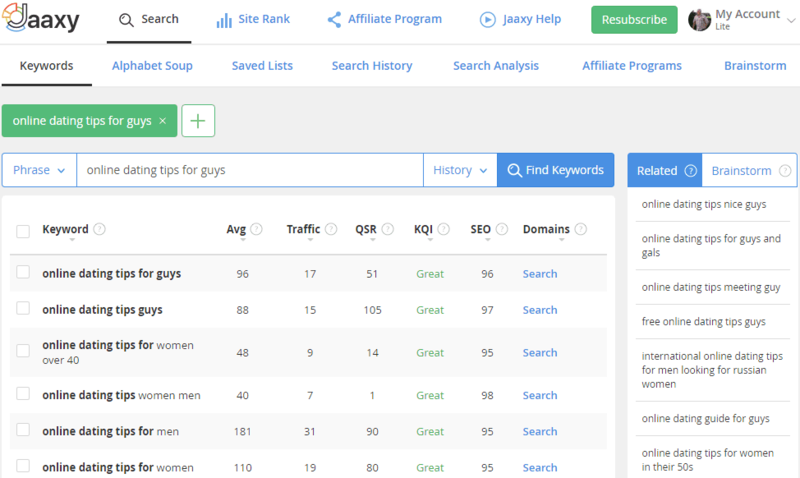 There are many out there and I have tried a few but I find that Jaaxy gives me everything I need in a keyword tool, it’s quick, easy to understand and helps speed up my production when I do my research. An important factor in a post or review is the message that you trying to get across to your reader and keep them interested. The message should be clear and concise. You don’t want to lose your reader in the first few paragraphs, do you? Your initial goal is to educate your readers about the products and/or services that you will be promoting. 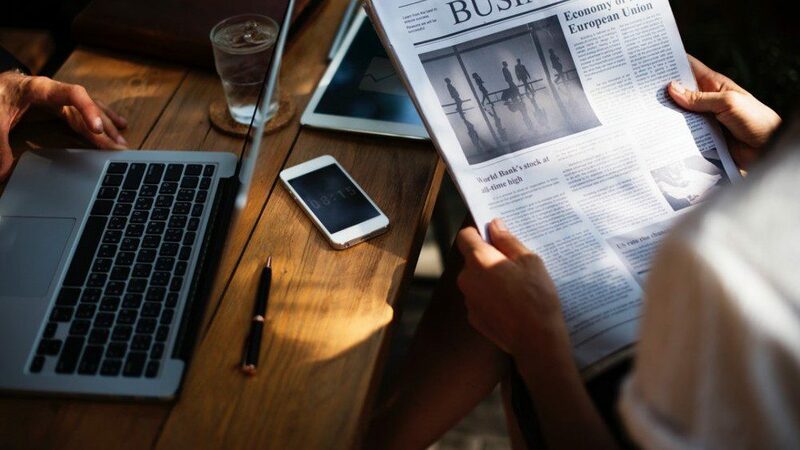 Content is key and therefore you must ensure that it is unique, interesting, informative and possibly with some humour at times so that your readers keep coming back. Try to ensure that your posts/reviews are not too short. Aim for 1000-2000+ words per article and at various lengths. Try to use one keyword per article with maybe variations of it within the content. Do not use “Keyword Stuffing” – That’s a big no-no! 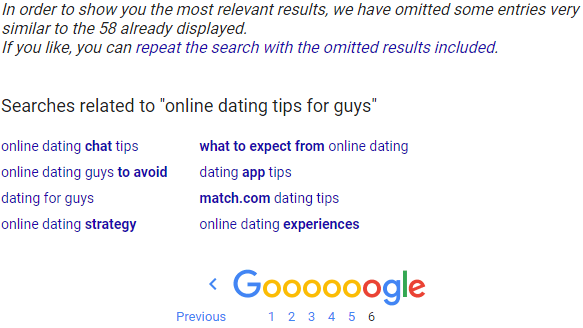 It may have worked back in the day when anything was possible, but Google is constantly changing their algorithm and you will only be penalized for doing such a thing. Before you publish the article or post, ensure you read it through a few times and make sure there are no spelling or punctuation mistakes. Do what I do and get somebody else to read through it and get them to be honest and tell you what mistakes they think there are. Always good to get an extra pair of eyes involved! Remember this is the key to getting your website in front of the millions that are out there hopefully searching for what you have to offer. Just think, according to Internet Live Stats there are over 60,000 Google searches per second, and I haven’t mentioned Bing or Yahoo yet. This question comes up more than you could imagine. I remember sitting on the fence regarding this and some may well find it a trivial question. I myself don’t and the reasons for this are pretty straightforward. When I am doing my research, which entails reading other peoples websites, then I personally like to see dates attached to the post or review. This at least tells me that the post or review should be current! I see far too many websites with no dates and therefore I haven’t a clue when they were written, and in a lot of cases, I just come back out. The exception to this are “Ever-Green” articles, where the information wouldn’t change regardless of time. I myself include the creation date and also an update date for when I go back to modify the post. I’m sure many will have mixed feelings about this, but I like to give the reader as much validity as I can, and is all part of the relationship that you as the business owner want to build and relay to your customer. This goes without saying, do not copy what others are doing, this is a sheer way of falling flat on your face. When you have found your style, then being unique will just fall into place. You want something to be proud of and creating uniqueness is a big step in the right direction. Remember, it wouldn’t take long for your name to be plastered around the Internet for doing such a thing! Ensure that when you are writing your content, whether it is a post or a review make sure you are transparent, focusing not only on the positive aspects but tell your reader about any negatives that there are too. When you are trying to get something across, try to show your reader and not tell them! Some day’s life gets a little difficult and you just have to push through that barrier. I know it is hard but try to focus on the positive side. It’s pretty difficult trying to focus when you aren’t around the right type of people. Why not find a community of people who are involved with the same thing? A training platform may be? Some days are going to be hard, and its so easy to give up and call it a day. I see it all the time! Back to the mindset again. You will find many people just fall at the first hurdle and mainly because the business is not making enough money. Developing a business must have more purpose than just money. Having premises and not earning enough to keep afloat means that you may have no alternative but to call it a day. That’s unfortunate, but owning an online marketing business would mean that you have some room to maneuver. How do people become millionaires and billionaires? They have a determination and foresight to never give up no matter what. Do you think successful people got where they are now by some freakish piece of luck? They fought through all the trials and tribulations to get where they are now. I know several people who lost everything not once or twice but in one case 5 times, but they pulled themselves together and carried on and are in a good place now, well until next time hopefully not. This is a hard one to structure and stick to because many times you will spend far too much time on one topic instead of spreading your time about to focus on other things that are important when owning and running your own business. 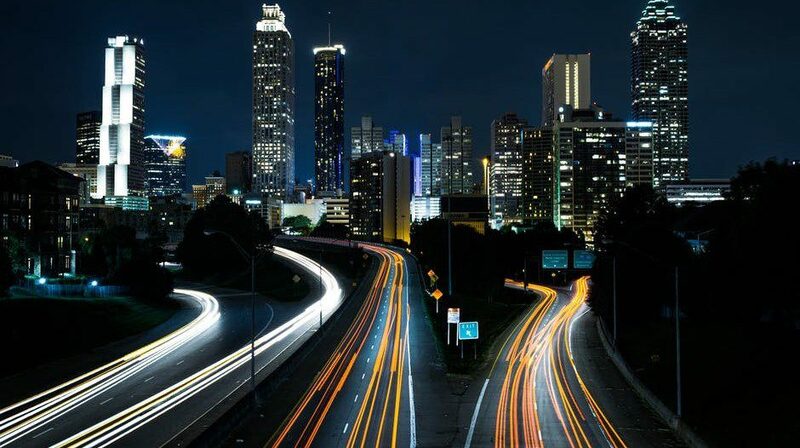 Technology is always advancing and at such a rapid pace, try to keep in tune with what’s happening, because it could affect the way you run your business. Any news that could affect your readers let them know in maybe a newsletter. Always make a point of updating current posts and reviews accordingly. The most important part of owning and running a business is your customer because without them you don’t have a business. That is why it is extremely important that you engage with them. Far too many businesses just don’t understand the importance of engagement and focus far too much on sales. 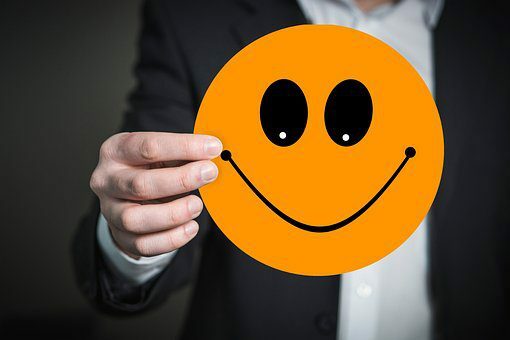 A happy customer is a happy buyer and if you as the business owner give the customer value, then they will come back time and time again. Always try to be transparent, be truthful and don’t gloss over things and try to cloud the judgment of your customer. Remember, you want your customer to be around for a long time. Never lie because you will eventually be found out. Do not try to be somebody you aren’t. Find out what your readers want and ask them if you could improve things with let’s say the Website. Is your reader happy with the layout and is it easy for them to navigate? If you are struggling with building your website, maybe it’s time to ask for professional help, but that can be expensive. You could actually send out a form and ask your readers for suggestions. Be always open to suggestions, because this is not about you, it’s about your reader or potential customer. Constructive criticism should be taken on board and viewed as useful feedback, that can help you improve yourself as well as your business. Work with it and make any negative aspect work for you. It is very easy to retaliate or offer some kind of defensive response, especially when you are having a bad day because nobody likes being told that they are not doing things in the right manner. Remember, you can use criticism to your advantage. Always welcome feedback from your customer, this goes hand in hand with keeping the customer happy. It may be that you have sold them something or maybe just given them some good advice. Whichever it may be, you want to ensure that the customer is happy and feedback allows you, as the business owner to improve things too. Why not ask family and friends. Wellcome any criticism, both positive and negative, and insist that they don’t hold back on anything? Comments work hand in hand with feedback but with a slight difference and should be welcome. 18. Stand out from the crowd – Create your own style! In order to stand out from the crowd, you have to be doing it better. Check out what others are doing and see how you could improve your own business. Writing to some doesn’t come easy, and I would be lying if I said it did for me, but like anything you do in life over time, it gets better. Eventually, you will have your own style so stick at it because in time you will get there. See what your competition is up to and learn from them. 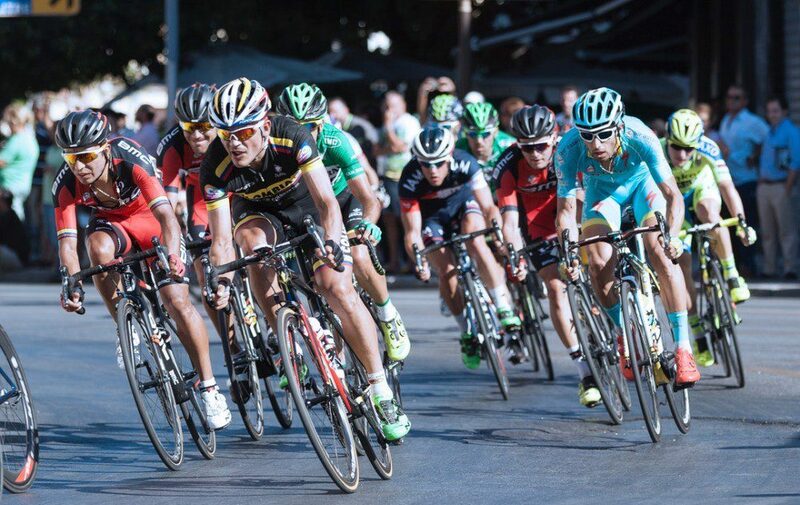 Working amongst your competition should give you the boost that you are looking for. To be good at something engage yourself around successful entrepreneurs, always a good way for you to learn and improve. If it works for them then Utilize their ideas within your business and hopefully, you can get your business to the next level. You must have heard the saying, “The money is in the list”? How true this is and can only happen when you as the business owner have done all the right things regarding your customer. An Autoresponder is essential in today’s online marketing and allows you to build a bond with your readers. There are some great ones available and a little research before you jump in will ensure you choose the right one. As you will see you have quite a choice but there are many more, these are just ones I could think of. I have tried a few and they are all good in their own rights, and of course, some things you may or may not like about them, but that’s down to personal preferences, right? GetResponse for me has the landing page creator which is a big plus. We all know about YouTube and just how much this has taken off. A unique and very personal way to focus on grabbing the attention of prospective customers. Creating videos is not everybody’s cup of tea, and if you don’t capitalize on this medium then you are missing out on a massive portion of potential customers. Making use of videos should be included in everybody’s marketing strategy otherwise you are missing out on so much traffic. Just check out a few facts from FortuneLords regarding YouTube right here! Social media has taken off big style so make it work for you. I’m sure you can think of more to include in this list and maybe some that I’m not too familiar with, so please share. 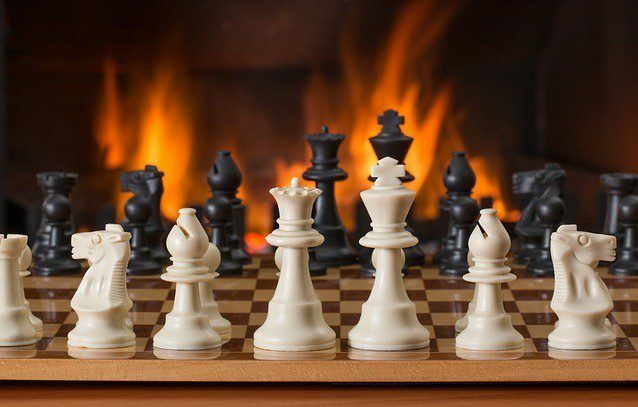 Having a business strategy is not difficult to come up with but sticking to one can be. That’s where discipline comes into play. The benefits I’m sure you’ll agree are pretty major, but get it right and keep your readers/customers happy and they will stay with you and keep purchasing from you, way into the future. I hope you have found the above list helpful! I’d like to thank you for taking time out to read and digest this article, and maybe it brought some light to what could be a vast topic. It is always the simple approach that tends to work best, but finding a simple approach can be a nightmare to find. Any feedback or comments are welcome, and I will get back and reply to them all and to the best of my capabilities. Feel free to share any ideas you may have or maybe just tell us where you are on your Internet journey. Maybe you are in the early stages of your research and are contemplating about starting an online business, but you are unsure where to go and would like some advice? If you are interested and would like to know more, make sure you check out my review of Wealthy Affiliate. A training platform that goes way beyond anything I have come across on the Internet. Please let me know what you think and ask me any questions you want. What is affiliate marketing about and how can I get started, can it replace my current income and can I make a lucrative living from it? All good questions and I can answer them with a resounding yes, but that would be too easy and besides it would make this post extremely short; but hopefully, when you have read this, you will be in a better position to decide whether this is what you would want to get involved in. 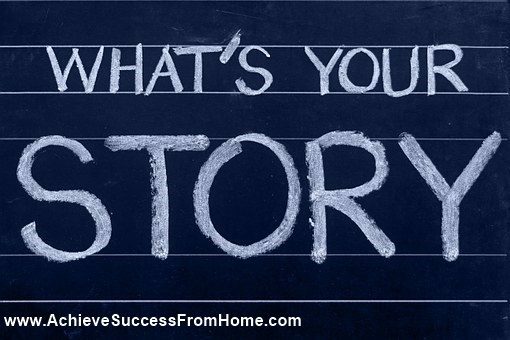 You hear it all the time by affiliate marketers, that they are living the so-called laptop lifestyle, well some may be doing, but most are not telling you the real story. What you should do when researching anything online is to have an open mind, and not be taken in by the promises of others. Listen, digest and do your own diligent research. Don’t believe everything you hear because the Internet is full of “BS” and stay well away from the so-called gurus promoting quick and easy solutions to becoming instantly rich. There seriously is no such thing! Avoid the sales “BS” with marketers showing their mansions, fast cars, and yachts. You will only get there through hard work, which many are not prepared to undertake, and if it is that what you are looking for (instant wealth) then this is not for you, but if you are prepared to listen, learn, implement and work hard then please read on, this could be what you are looking for. What is Affiliate Marketing about and How can I get Started and become a success? Passive Income, that is the dream, right? We all would love to get up in the morning whenever we want, chill out with our coffee and focus on the day ahead, or maybe you just want to laze about and maybe start work later in the day? Maybe take the day off? The choice would be yours, not a boss telling you what to do! The objective of Affiliate Marketing is to promote other people’s products which are often coming from Affiliate Networks, and in doing so you as the Affiliate would earn a commission if the person coming to your website actually ends up buying thanks to your marketing campaigns. This is all based on revenue sharing and paying a commission for referred business. If you as the Marketer have a product to sell and want to sell more, then you can offer promoters (affiliate marketers) a financial incentive through an Affiliate Program, which is normally free to join. If you have no product (affiliate marketer) and want to make some money, then you as the affiliate marketer can promote somebody else’s product that you feel there is a demand for and earn a commission from. There are 4 main parts of the Affiliate Marketing Process. This is the group that creates the product. It could be anyone however big or small. Sometimes known as the publisher, and can range from single individuals to entire companies. An affiliate marketing business can produce a few hundred dollars in commissions each month, a few thousand or tens of millions, it just depends on the size and scope of the company. It is the job of the affiliate marketer to promote one or more of the merchant’s products and then try to attract and convince potential customers of the value of the merchant’s product so that they end up buying it. This is done by the affiliate marketer who creates one or more marketing campaigns, which is a series of methods that they set up before they promote the product. This is achieved normally through a website, webpage and in some cases a landing page or squeeze page, and those campaigns are promoted in one of two ways. Explained in a little more detail further on. The end goal is to get the customer to your website and purchase goods from you, and without customers, there aren’t any sales, no commissions and no revenue to be shared. 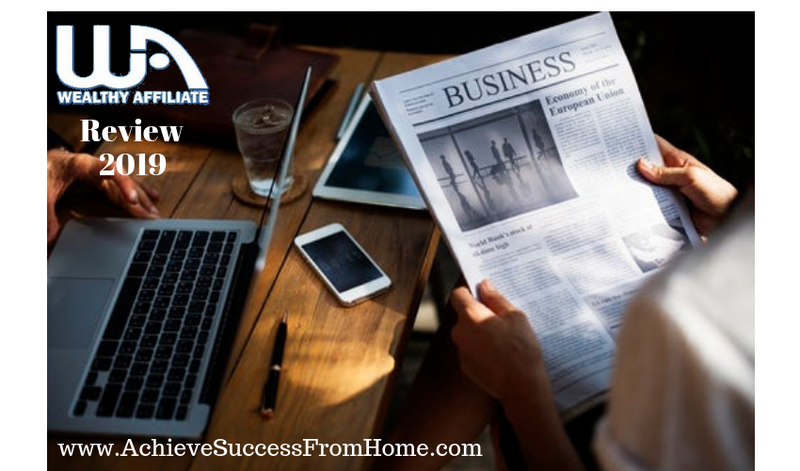 The affiliate will attempt to market their campaigns on whatever network they deem fit, which could be social networks such as Facebook, Twitter, Instagram or through search engines like Google, Bing, Yahoo using content marketing on a Website, or blog as it is commonly known. The consumer may or may not know that they are part of an affiliate marketing system, and it is up to the affiliate marketer whether they tell the consumer or not. In a lot of cases, most affiliates don’t relay that sort of information but more and more are becoming transparent and letting the consumer know. When you are marketing your campaigns to the consumer it is good practice, to be honest with your customer. At the end of the day, you want to strike up a relationship with your customer, who knows, further on down the road they may still be purchasing products from you. Be the good guy not the bad, because there are plenty of the later on the Internet. A Network or Affiliate Network is the go between the Merchant and the Affiliate Marketer, and whilst you could market and sell a product that someone has created and just make an arrangement for a direct share with them, allowing an affiliate network like Amazon Associates or Clickbank handle the payments, delivery, along with all the financial aspects just makes the whole process much easier and puts a business-like twist on your affiliate marketing. In a lot of cases, the affiliate may not have a choice but to use affiliate networks as this may well be the norm for where the Merchant runs their business. What you will find with Affiliate Networks is that they will have an enormous database of products that you can market, which will be grouped into their own particular categories and helps make it easier to find many products related to your Niche. Want to know how to get started and learn how to build your Online Business? Now you know my definition of Affiliate Marketing and what it entails, would this be something that you would want to learn and get involved in? You must agree that the whole process is pretty much straightforward, and as a business model in my opinion probably the best way to make a living online, but like all businesses, they take time to get off the ground. This is not something that will happen overnight especially if you are new to all this, but given the right training with the right mentor(s), this is certainly a possibility for everyone. When you are starting a new venture it always seems overwhelming. Of course, it does, but small steps with the right mindset, determination, the will to succeed, and hard work and you will eventually be successful. I know what you are thinking and probably just like myself, but I came into this new venture not as a hobby or something to pass the time of day with, but I came into this with the determination to succeed no matter what and to give me back quality time to spend with my family. It is working for me and I can assure you it could work for you too! The more you put into developing your online business the quicker you will get to your goals and freedom to do whatever you want. After researching thoroughly and deciding that Affiliate Marketing was the route I wanted to go down, then I had to find the right Training Platform and one that I could trust 100%. I researched many but narrowed it down to just the one as all the others just didn’t stack up and the one I choose is Wealthy Affiliate. See what you think and get back to me with any questions you may have. What is your interest, your passion, and do you have one? We all have hobbies and interests, don’t we? This is what we call a Niche, I’m sure you will have heard the term? 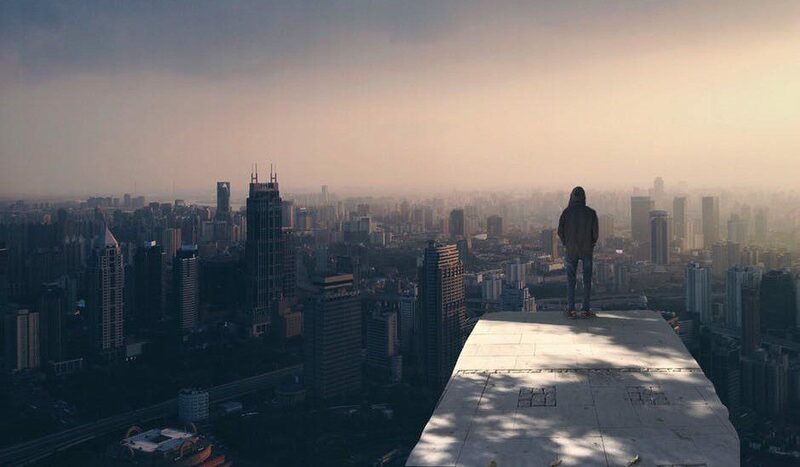 If you are unsure of just what a Niche is then you can check out an article I wrote describing, what a niche is and how to find a profitable one. 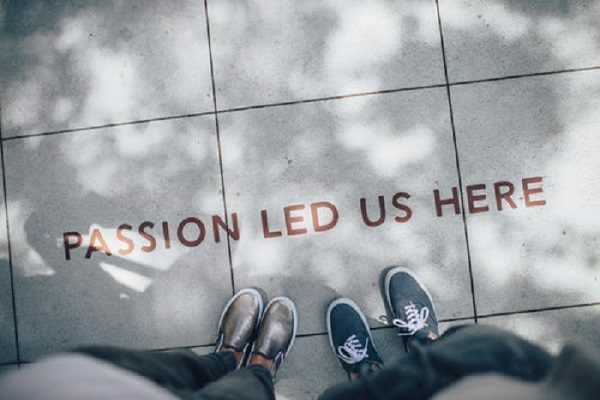 When you are deciding on what your niche is it helps to have a passion, as it will make life a lot more interesting and help when you are doing your research, but that is in no way a prerequisite because a passion can come at a later date. I mention in the “what a niche is and how to find a profitable one article” where you need to find a niche that has plenty of traffic, but not too much competition. It wouldn’t make sense if the Niche you choose didn’t have people who were interested. Let me remove any misconceptions you may have about building your website. I come from a software development background which covers many years, too much to mention and 5-10 years ago building a website for someone without technical ability would have been a complete nightmare. This would have been a none starter for many, but nowadays things have moved on somewhat and all the techie stuff that you needed you can leave to one side. Although it is nice to have it is not required! Take a look at one of my mentors creating a website and how easy it is with the Wealthy Affiliate Training Platform. 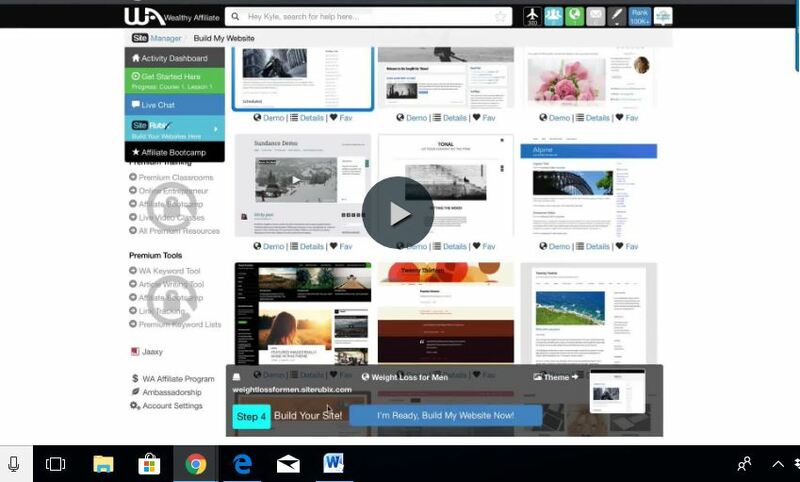 Here he builds a website in less than 1 minute, see for yourself. No need to get fancy, because fancy can come and kick you in the arris! You have created your website and now it is time to get your website out there in front of the millions of potential customers who are searching for everything, and in amongst those searches will be people searching for things relating to your niche. With around half the world population, that’s approximately 3.75 billion who have access to the internet through some form of medium. According to Internet Live Stats, there is well over 64K searches in Google alone every second. Check it out! Just think of the potential customers that are waiting to find your website! What about Microsoft Bing and Yahoo? Combined they hold around a third of the traffic and we haven’t even covered those. Ok, so how do we get our website in front of potential customers? This is where we as the affiliate marketer approach online traffic agencies who will do the job for us. 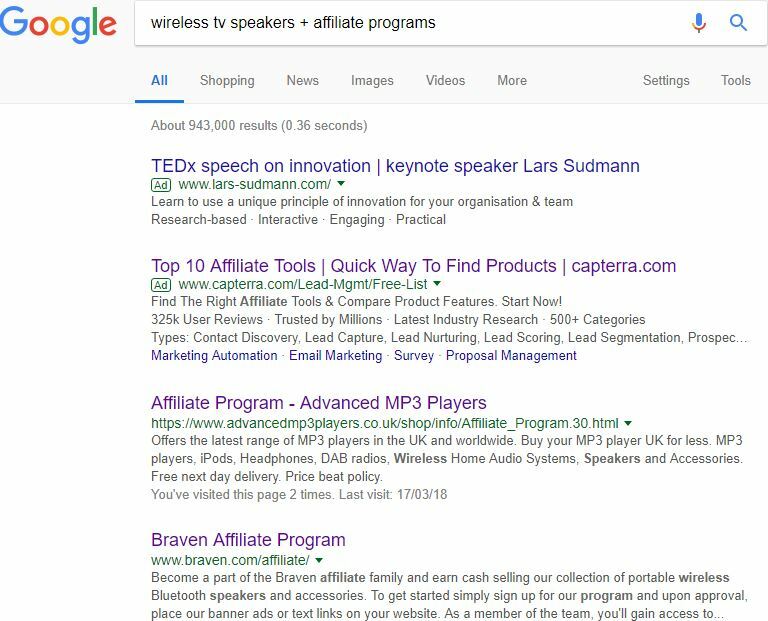 What the agency tries to do is actually get your website in front of the millions of people searching for what you as the affiliate is promoting. This can be a minefield, and you have to do your research carefully, as there are unfortunately a ton of unscrupulous companies that you need to avoid because this is where it can end up costing you an awful lot of money. Remember, you are trusting these so-called traffic gurus with your hard-earned money, so unless you have guidance from a mentor then stay well away. 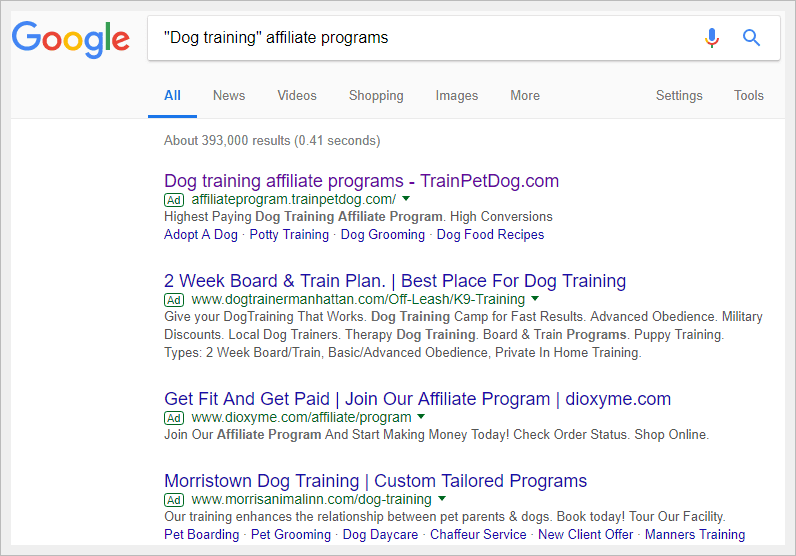 Use trustworthy sites like Google Adwords or Microsoft Bing and Yahoo, you could save yourself a ton of money, but even those have their on-going issues. Free traffic or organic traffic is certainly the way to go, but this takes time but very rewarding when you get it right. Just think of all the costs you will save! This is a strategy known as SEO (search engine optimization) which enables you as the affiliate, to market your campaigns and do this for Free. A combination of keyword research and writing good readable informative posts or reviews is the key to all this. Over time, you will write 100s or 1000s of posts and reviews, targeting low competition high traffic keywords. In other words, you will find your keywords and use those as the Title of your posts and reviews, and write great content around them. Each post or review with your targeted keyword will have a certain amount of traffic attached, and you as the affiliate marketer will be trying to get your website/page in front of it. You are looking for Google to index and rank your Posts and Reviews and hopefully get them to rank on pages 1-3 of Google. The more posts and reviews you publish the more traffic you will attract, which will increase your potential sales. If you have managed to master 1-3 which is pretty straightforward then this is where you will earn yourself commissions. Whichever Affiliate Network you use is where you will be getting paid from. I know when you see it explained on paper it does look pretty straightforward, but I’m not going to try and con you by saying that it is easy, because if it was then everybody would be doing it and living the so-called laptop lifestyle. It is not my intention to con you into anything, all I am doing is relaying the information in what I hope is a clear concise manner, which will help you make a decision one way or the other. Everything you see is taught at Wealthy Affiliate and therefore if you are serious about building a sustainable passive income that will be around for many years to come, then there is no better place to learn all this and more, much more. I think you will agree that the Affiliate Marketing Model is pretty straightforward when it is broken down into segments. I hope I have managed to explain things clearly and that you enjoyed reading this article, and that it has helped you to decide on whether this model is one you would like to learn and get involved in. If it is and you haven’t read my review on Wealthy Affiliate then you can read it here. There are far too many “BS” schemes out there and maybe you think this is one of those, but I can assure you this is not, but only you can determine if what I am saying is the truth. Why not take a look, what have you got to lose? If it’s not for you then just call it a day, but if you are serious about owning and building an online business, then I can assure you that you will not find any training like it, anywhere on the Internet. Don’t take my word for it, you have to try this awesome training that Wealthy Affiliate provides. Get started now and see for yourself why Wealthy Affiliate offers the best mentorship and is the best online training platform that you’ll find on the Internet today, for building your own successful business. Go through my link and take advantage of the FREE membership and take it for a trial run, and I’ll be with you every step of the way. 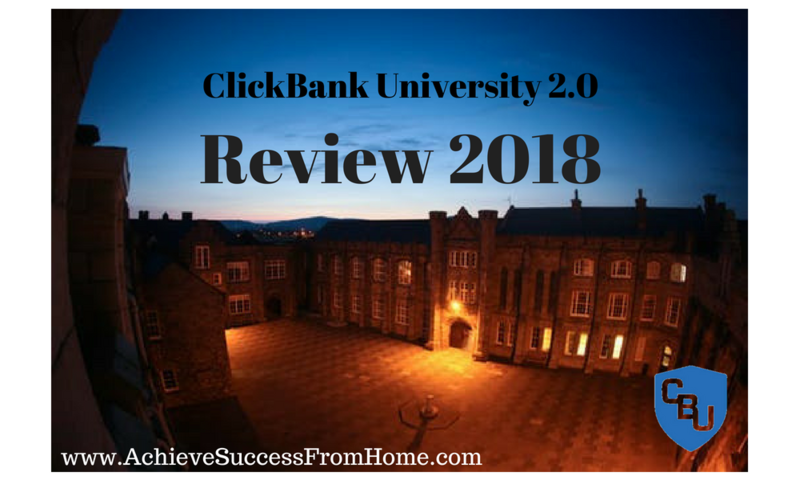 This could be just the ticket you have been looking for and take it from me won’t be disappointed, but you will be overwhelmed with the enormous amount of training material available. 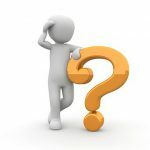 If you have read my review on Wealthy Affiliate and want to ask any questions, please feel free to ask anything at all. I look forward to answering all questions both positive and negative. Why not tell me what you are currently working on or what your intentions are? If I don’t see you on the inside, I would like to thank you for passing by and taking an interest. Author MickPosted on December 14, 2017 March 31, 2018 Categories Affiliate marketing6 Comments on What is Affiliate Marketing about and How can I get Started?